Sweet meets salty. Milk chocolate meets caramel. 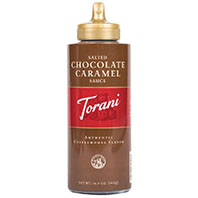 The combination of these flavors produce a delicious sauce perfect for use in coffees, lattes, ice cream, and more!